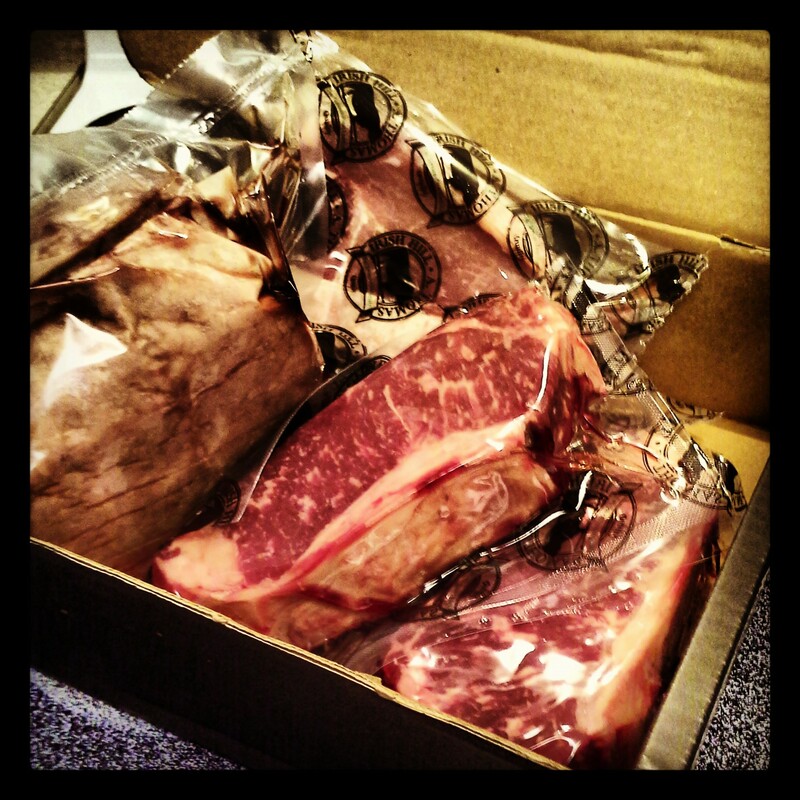 A box of meat from Mattingly. Christmas came early? Mattingly Foods – A. Thomas Meats invited me to review a selection of their products – hamburger patties, steaks and pork chops, to be exact. This local operation supplies high-quality meat to restaurants in the region and individual customers on a cut-to-order basis. It was hard to say no to a review request from a company with such deep roots in the city. 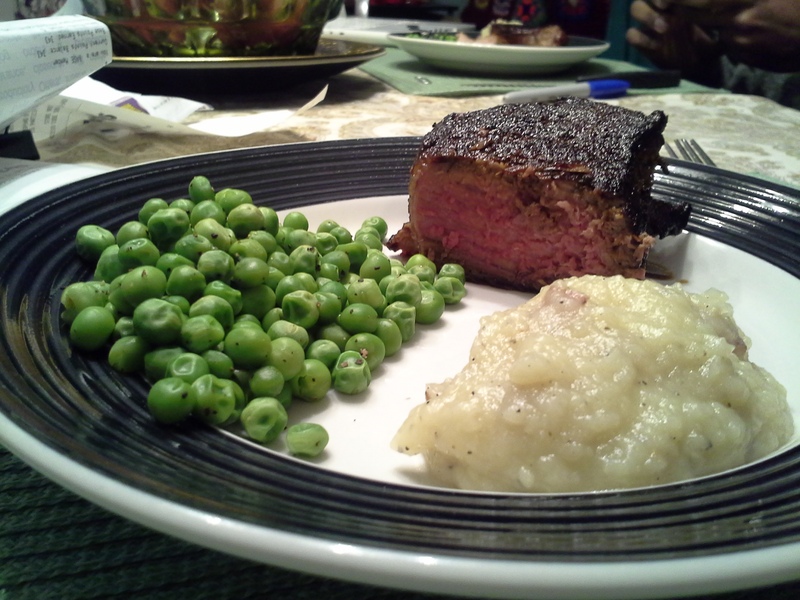 New York Strip with peas and mashed potatoes. The steak cut like velvet, juicing sliding down the glowing pink grains. 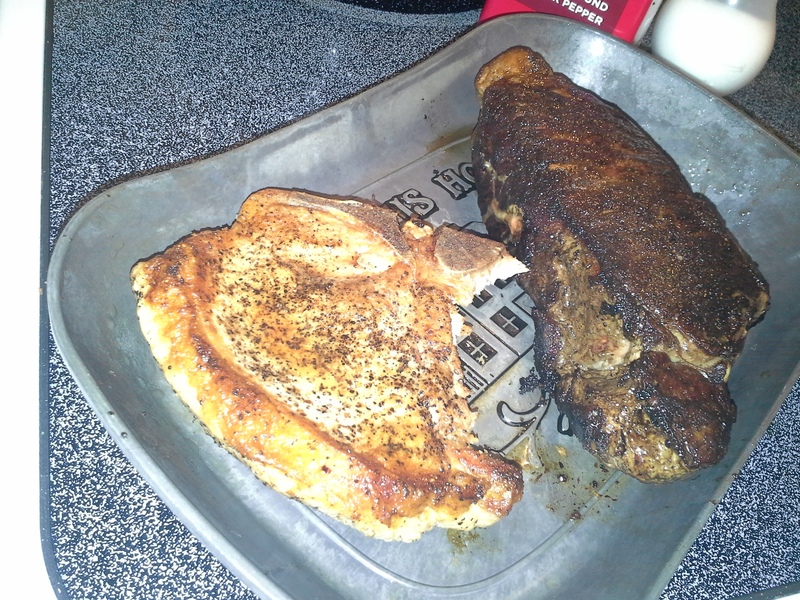 I only seasoned it with salt and pepper, and that was all that this strip needed. The pork chop was equally succulent, with little fat and lots of tender meat. 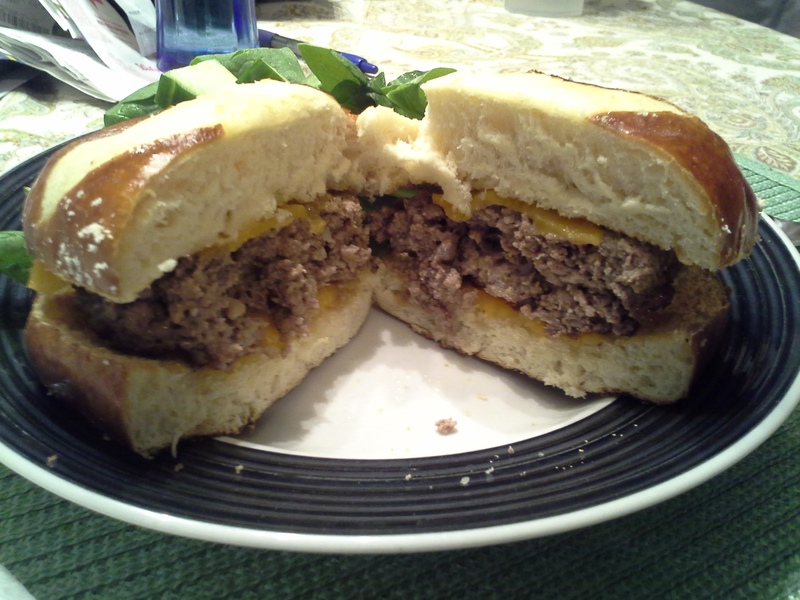 A burger from Mattingly meat. The hamburgers were juicy and retained their size as the fat cooked off. So how can you make this price point work? The hamburger patties I received were SUPER HUGE. 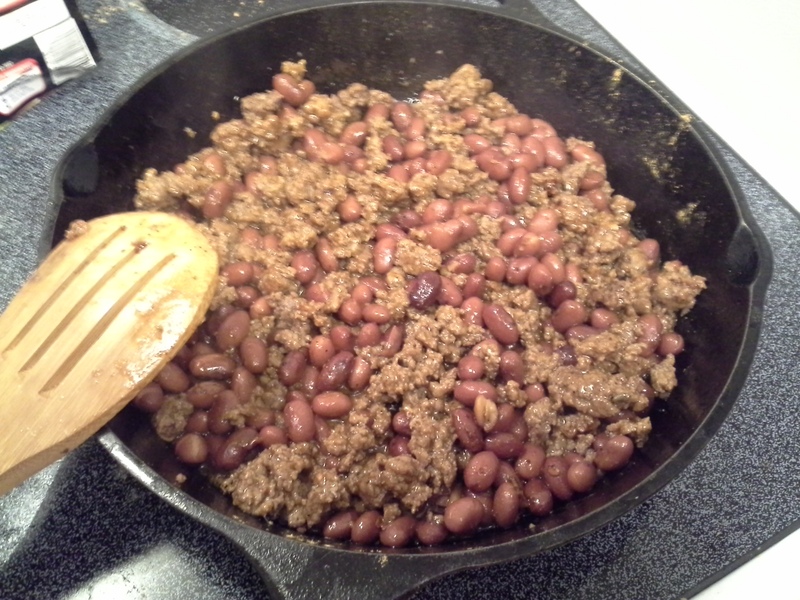 I took two of the patties and cooked them with a can of red beans and taco seasoning for burritos. I took the three remaining patties and reshaped them into four smaller burgers. The New York strip was large enough to share between two people, along with a couple of side dishes. Future possibility for the remaining steak: stir fry. Deciding to spend the money on Mattingly’s selection is hard. Fortunately, Mattingly’s offers a variety of packages and cuts of meat, and they even have a bargain outlet. Treat yo’ self to a belly full of premium protein. For information on ordering, visit the Mattingly Foods – A. Thomas Meats website. Uhm, yeah, no. I am poor. 🙂 But that does look really tasty.